The sacrament of marriage and a closer and immediate preparation for this form of community life have always been and remains at the heart of the activities of the Church’s pastors. We receive, therefore, with due attention and effort, Pope Francis’ Post-Synodal Apostolic Exhortation Amoris Laetitia, which is an expression of his concern for the good health of marital love in the family. In it, we discover an inspirational actualization of the “Gospel of the Family” that the Church constantly announces and attempts to pursue. The Exhortation is indubitably the fruit of the reflection of two Synods devoted to the family and of the entire Church’s prayer for spouses and families, as well as the of 2015 Extraordinary Jubilee of Mercy. The Pope indicates, in it, the areas in pastoral ministry for engaged and married couples, as well as for families, that require deeper reflection and the tender and merciful care of pastors (Misericordiae Vultus 10 ). 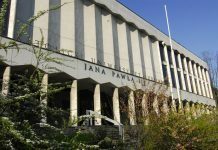 During the past two years, the publication of Amoris Laetitia and the discussion initiated by it have allowed us to see again the richness of the Church’s activities in Poland supporting fiancés, spouses, and families. At the same time, they made us aware of the need and urgency to become even more involved in the widely understood pastoral care of the engaged and families, often affected by the crisis of faith and love. In this perspective, the pope’s call to shape evangelical attitudes is a light on the path of Christian growth, and its concrete guidelines are a valuable indication for pastoral efforts and help. In the voice of Pope Francis, we recognize the paternal call to “pastoral and missionary conversion” (Evangelii Gaudium 25). This appeal for a pastoral conversion stems from his concern for every human being (see MV 4), and he clearly refers to Saint. John Paul II, for whom “man is the primary route that the Church must travel in fulfilling her mission” (Redemptor Hominis 14). With this in mind, we are convinced that the interpretation and practical application of the assumptions in Amoris Laetitia will contribute to many initiatives for the growth, strengthening, and development of our families, their love and sanctity. Recalling the thought of his predecessor Benedict XVI, Pope Francis emphasizes that changes in the Church should be carried out in the spirit of “hermeneutics of continuity.” This concept refers to the conviction that John XXIII expressed when he explained the reasons for opening the Second Vatican Council with the category of “hermeneutics of reform.” Thanks to it, the unchangeable deposit of the faith can be transmitted in a deeper, more mature way and “corresponding to the needs of our time”, i.e., adapted to a given epoch (see EG 41). The important thing is that the hermeneutics of reform does not break with the past, but maintains the continuity of the teaching of the faith while making the necessary update of this faith. 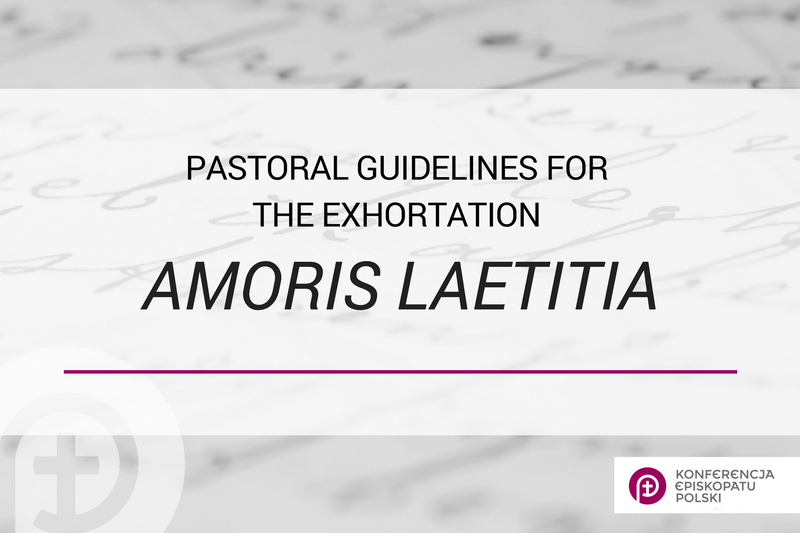 Read in this spirit, Amoris Laetitia not only includes, but above all, completes and updates the previous statements of the Church’s Magisterium on marriage and the family. The previous programmatic documents include Paul VI’s Humanae vitae, John Paul II’s Familiaris Consortio, Reconciliatio et Poenitentia, Veritatis Splendor and Benedict XVI’s Deus Caritas Est and Sacramentum Caritatis. There is no doubt, then, that in the exhortation of Amoris Laetitia, Pope Francis in no way undermines the teaching of his predecessors. He clearly recognizes the need for the Church’s unity in doctrine and action, which, however, does not preclude the existence of “various ways of interpreting some aspects of that teaching or drawing certain consequences from it” (AL 3). Therefore, to the result of the synodal deliberations devoted to the family, Pope Francis adds other considerations that guide the reflection and pastoral activities in a way that may simultaneously give a breath, stimulus, and help to families in their sacrifice and in their difficulties (see AL 4). In view of what is said above, pastors, consecrated persons, and lay faithful are encouraged to accept the teaching of Pope Francis in Amoris Laetitia, who consistently carries out the work of renewing the Church in the spirit of Christ’s Gospel. The basis of his reflection is the Word of God and Jesus’ gaze on the family. To describe love in an evangelical and real perspective, he develops his thought on two levels: he contemplates the Trinitarian ideal of Love, considers the priority and effectiveness of grace and love in marital life, and also takes into account the gradual and dynamic nature of the human experience of love, its historical conditions, difficulties and imperfect realizations. • Pope Francis invites the whole Church to look toward God and man in the spirit of the Gospel and to use its language. • The keywords of his pontificate are “tenderness and closeness.” In the merciful and compassionate love (for, among others, the poor, migrants, spouses, and other family members), he sees the basic criterion of verifying the credibility of the Church and Her activities. • The Pope calls us to proclaim the Gospel in a new way. He has in mind the commitment of all Christians to witness to their faith with even greater enthusiasm and conviction (see MV 4). He reminds us that the Church is called to the missionary exit to “reach all the peripheries of the world in need of the light of the Gospel” (EG 20). The task must not be carried out without a renewed dialogue between the pastors and the faithful. Hence, one cannot expect a definitive or exhaustive word from papal teaching on all matters concerning the Church and the world. Nor should the local episcopates be replaced in the discernment of the problems appearing in their territories and, hence, the Pope speaks about the need for “decentralization” in the Church (see EG 16). • Responding to the suggestions of the Synod Fathers, Francis puts his message on marriage on a more realistic and gradual path toward holiness in the Church. He invites us to give a living and joyful testimony of the presence of Christ in sacramental marriage and in the family home. • The Pope emphasizes that pastoral and missionary conversion in the promotion of marriage and the family cannot ignore those in need and living in difficult situations: “(…) the Church must be particularly concerned to offer understanding, comfort and acceptance, rather than imposing straightaway a set of rules that only lead people to feel judged and abandoned by the very Mother called to show them God’s mercy” (AL 49). The Church is “the house of the Father, where there is a place for everyone, with all their problems” (EG 47). This approach to the most delicate issues of human existence “instead, it sets us in the context of a pastoral discernment filled with merciful love, which is ever ready to understand, forgive, accompany, hope, and above all integrate” (AL 312). In the first sentence of the exhortation, the Pope states that “the joy of love (amoris laetitia) experienced by families is also the joy of the Church.” So that, in Her, marriages and families may not be lacking, the Church develops appropriate pastoral care, but She should also constantly improve its quality, taking into account in Her ministry the new conditions of the life and needs of spouses and families. a. The Rich Pastoral Experience of the Engaged, Spouses and Families of the Church in Poland. Preparing the faithful for the sacrament of marriage and accompanying spouses and families on the path to holiness have been important fields of the Church’s activity in Poland for decades. This concern was expressed in the various instructions for the preparation for marriage and family life that was beginning in the 1950s, in the indications of the Second Plenary Synod’s (1991-1999) document entitled “For the Sake of the Family” and the Directory of Family Pastoral Care (1 May 2003), as well as through the family counseling centers. The themes of betrothal, marriage and the family are addressed in the formation of known ecclesial movements and associations. The enumerated documents and initiatives were most often the Church’s response to the social and moral changes taking place in society. They generally took up the teaching of successive popes and the Church’s Magisterium. b. Pope Francis’ Pastoral Criteria. The Holy Father is convinced that “an evangelizing community gets involved by word and deed in people’s daily lives; it bridges distances, it is willing to abase itself if necessary, and it embraces human life, touching the suffering flesh of Christ in others” (EG 24). In turn, pastoral love—drawing inspiration from Jesus Christ, the Good Shepherd (see Luke 15:4–7; Jn 10:11–18)—is ready to go out to meet every man, especially the one who has departed from the ecclesial community. That is why Pope Francis speaks of the four attitudes that should characterize every activity of the Church: welcoming, accompanying, discerning, and integrating (see AL 291ff.). • Welcoming (see Jn 3:1–21)—derives from the basic law that lives in the heart of all human beings when they look sincerely at their brothers and sisters whom they meet on the path of life (MV 2) and desire their good (MV 9). “The Church is commissioned to proclaim the mercy of God, the beating heart of the Gospel, which in its own way must penetrate the mind and heart of every person. The Bride of Christ must pattern her behavior after the Son of God who goes out to everyone without exception” (AL 309; MV 12). Everything in the Church’s pastoral action should be imbued with tenderness with which She addresses the faithful; in what is proclaimed and witnessed to the world, mercy must never be absent (AL 310). The priesthood—to quote Saint Augustine—is “amoris officium—the office of a good shepherd who offers his life for sheep” (SC 23). “The Church’s pastors, in proposing to the full ideal of the Gospel and the Church’s teaching, must also help them to treat the weak with compassion, avoiding aggravation or unduly harsh or hasty judgements. The Gospel itself tells us not to judge or condemn (cf. Mt 7:1; Lk 6:37). Jesus ‘expects us to stop looking for those personal or communal niches which shelter us from the maelstrom of human misfortune, and instead to enter into the reality of other people’s lives and to know the power of tenderness’” (AL 308). • Accompanying—is well illustrated by Jesus’ behavior in relation to the disciples on the road to Emmaus (see Luke 24:13–35). It requires approaching the other person and walking together. According to the Pope, “without detracting from the evangelical ideal, they need to accompany with mercy and patience the eventual stages of personal growth” (EG 44), “making room for the Lord’s mercy, which spurs us on to do our best” (AL 308). Such service to the faithful leads to the development of pastoral bonds. In this way an evangelizing community is also supportive to a man in all his experiences, no matter how difficult or lengthy these may prove to be. • Discerning—refers first to the Church’s mission, understood in the category of pastoral, evangelical and spiritual ministry, as searching for the paths of life before God (EG 33, 50, 154). It does not exclude “spiritual discernment does not exclude existential, psychological, sociological or moral insights drawn from the human sciences. At the same time, it transcends them. Nor are the Church’s sound norms sufficient. We should always remember that discernment is a grace. Even though it includes reason and prudence, it goes beyond them, for it seeks a glimpse of that unique and mysterious plan that God has for each of us, which takes shape amid so many varied situations and limitations. It involves more than my temporal well-being, my satisfaction at having accomplished something useful, or even my desire for peace of mind. It has to do with the meaning of my life before the Father who knows and loves me, with the real purpose of my life, which nobody knows better than he. Ultimately, discernment leads to the wellspring of undying life: to know the Father” (GE 170). As such, discernment implies humility, magnanimity, and “a growing understanding of God’s patience and his timetable, which are never our own” (GE 174). It is a “means of spiritual combat for helping us to follow the Lord more faithfully. We need it at all times, to help us recognize God’s timetable, lest we fail to heed the promptings of his grace and disregard his invitation to grow” (GE 169); it intends to guide all the faithful who ask for it, in the growing awareness of their situation before God (AL 300), to help them find possible ways of responding to God and in their development in midst of limitations (see AL 303, 305). In the difficult work of accompaniment and discernment, the law of gradualness, highlighted by Saint John Paul II in Familiaris Consortio, is helpful. This law assumes that man “knows, loves and accomplishes moral good by stages of growth” (FC 34; AL 295). Francis supplements this thought with the statement of the Catechism of the Catholic Church concerning the conditions under which accountability and responsibility can be reduced or even abolished. He also speaks about the circumstances that reduce moral responsibility. “For this reason, a negative judgment about an objective situation does not imply a judgment about the imputability or culpability of the person involved” (AL 302). • Integrating (with oneself and with the community of the Church) is the goal of pastoral discernment and accompanying each person, regardless of his or her situation in life. At the root is the logic of inclusion in the community, thanks to which the faithful not only discover their belonging to the Church but also joyfully and fruitfully witness to it (see AL 299). Throughout the history of the Church, Francis notes, we encounter two types of logic: marginalization and incorporation. “The Church’s way, from the time of the Council of Jerusalem, has always been the way of Jesus, the way of mercy and reinstatement” (AL 296). “Growth in holiness is a journey in community, side by side with others. (…) Living or working alongside others is surely a path of spiritual growth” (GE 141). This concerns spiritual maturation and the growth of love, which is the best counterweight to evil (see GE 163). In the light of Francis’ pastoral criteria exposed above—with regard to marriage and the family and the sanctification on this path of community life—new impulses appear in the pastoral ministry of the engaged, spouses, and people who find themselves in difficult and irregular situations. • In the pastoral care of the engaged, young people must be helped to discover the value and richness of marriage. It is necessary to recall the importance of virtue, especially of purity, which is the condition for the authentic development of spousal love. Both proximate and direct preparation should convince engaged couples not to perceive their marriage as the end of the path and enter into matrimony as a vocation that requires a firm and realistic decision to go through all the trials and difficult moments together (see AL 211). “Priority should be given – along with a renewed proclamation of the kerygma – to an attractive and helpful presentation of information that can help couples to live the rest of their lives together ‘with great courage and generosity’. Marriage preparation should be a kind of ‘initiation’ to the sacrament of matrimony, providing couples with the help they need to receive the sacrament worthily and to make a solid beginning of life as a family” (AL 207). Each local church should recognize which form of direct preparation for marriage is best and see to providing formation that will not discourage young people from the sacrament. • The ministry of the spouses must firstly take into account that marriage is not a completed and finite reality. The Pope recalls: “Their union is real and irrevocable, confirmed and consecrated by the sacrament of matrimony. Yet in joining their lives, the spouses assume an active and creative role in a lifelong project. Their gaze now has to be directed to the future that, with the help of God’s grace, they are daily called to build. For this very reason, neither spouse can expect the other to be perfect. Each must set aside all illusions and accept the other as he or she actually is: an unfinished product, needing to grow, a work in progress” (AL 218). The pastors have the task of showing how each married couple is a “history of salvation” that often begins with what is fragile and, thanks to God’s gift, gradually turns into a more solid and beautiful relationship (see AL 221). Especially in the first years of the construction of the conjugal community, the accompaniment and presence of experienced spouses, members of movements and associations as well as prepared advisors are very helpful (see AL 229). • In the pastoral care for people who find themselves in difficult situations (e.g., the death of a spouse) and irregular ones, pastors and their associates should above all offer the faithful the light of faith and a compassionate and gentle presence (see AL 253-258). A loving look and support should be shown to people whose spouses have abandoned or left them, but who are now making efforts to return to the sacramental spouse, through continuous love, loyalty, and prayer—referring to the grace of the sacrament (AL 241-242). Understanding should also be shown to the faithful who, after the disintegration of their sacramental marriage, have entered into new unions—only civilly because the previous marital bond remains an obstacle—but try to live in a Christian way, raising their children in faith, and, wanting to fully participate in the sacrament of the Eucharist, have decided to live as brother and sister. The Holy Father is particularly sensitive to “a pastoral approach towards people who have contracted a civil marriage, who are divorced and remarried, or simply living together” (AL 297). Invoking the Synod Fathers, he encourages baptized persons who have divorced and entered into a new civil union to be more involved in the Christian communities in various ways, while taking care not to cause scandal. “Such persons need to feel not as excommunicated members of the Church, but instead as living members, able to live and grow in the Church and experience her as a mother who welcomes them always, who takes care of them with affection and encourages them along the path of life and the Gospel” (AL 299). He encourages these people to go speak confidently with their priests and with properly prepared lay people. They will not always find confirmation of their own ideas and desires, but they will certainly receive a light that will allow them to better understand their personal situation and discover the right path of personal maturation. The Pope also invites priests to listen to the faithful with love, in peace, and with the sincere desire “to understand their plight and their point of view, in order to help them live better lives and to recognize their proper place in the Church” (AL 312). There are tasks ahead of us that are the result of the current situation and the condition of married couples, families, and the young generation, often affected by the crisis of faith. To Pope Francis, we owe a clear indication and definition of these tasks, valuable impulses, as well as the orientation of pastoral activities, and an incentive to deepen reflection on the shape of the pastoral care of families, more adapted to today’s needs and challenges. 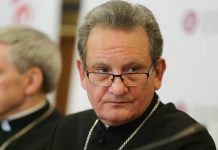 It will certainly be necessary to elaborate a new Directory for the Pastoral Care of Families for the Church in Poland. On that basis, it will be possible to prepare diocesan or metropolitan instructions and to create centers to serve married couples and families. At the same time, it is necessary to develop a program and define how priest will be prepared to assume the of accompanying the faithful and discerning their specific situations. We must characterize the pastoral ministry with closeness, a respectful and compassionate look that simultaneously heals, liberates, and encourages growth in Christian life (cf. EG 169). We need to practice listening skills in order to patiently and persistently awaken the desire of the Christian ideal and find paths leading to real growth and maturity (see EG 171). Consecrated persons and lay faithful should also be encouraged to acquire this kind of formation. We need many associates, men and women who, engaging in the effort of listening to and accompanying the engaged and spouses, will support the pastoral activities. The expression “Gospel of the family” refers to the Instrumentum laboris of the Synod on the family: cf. Le sfide pastorali sulla famiglia nel contesto dell’evangelizzazione. Instrumentum laboris, 20. Additum ad epistulam Region Pastoral Buenos Aires, Criterios básicos para la aplicación del capitulo VIII de Amoris Laetitia, in: AAS 10(2016), t. 108, pp. 1072–74. Francis, Dominique Wolton, Otwieranie drzwi, Krakow, 2018, p. 325. John XXIII, Address at the Solemn Opening of the Second Vatican Council (11 October 1962), in: AAS 54 (1962), p. 788. “Pope John XXIII, wanted ‘to transmit doctrine, pure and whole, without attenuations or misrepresentations,’ in such a way that ‘this sure and immutable teaching, which must be respected faithfully, is elaborated and presented in a way which corresponds to the needs of our time’”, in: Congregation for the Doctrine of the Faith, Note with pastoral recommendations for the Year of Faith, Tarnow 2012, p. 26. “Closeness is more than the name of a specific virtue; it is an attitude that engages the whole person, our way of relating, our way of being attentive both to ourselves and to others… When people say of a priest, ‘he is close to us’, they usually mean two things. The first is that ‘he is always there’ (as opposed to never being there: in that case, they always begin by saying, ‘Father, I know you are very busy…’). The other is that he has a word for everyone. ‘He talks to everybody’, they say, with adults and children alike, with the poor, with those who do not believe… Priests who are ‘close’, available, priests who are there for people, who talk to everyone… street priests” Francis, The Lord drew close someone. Homily at the Chrismal Mass, 29.03.2018: http://w2.vatican.va/content/francesco/en/homilies/2018/documents/papa-francesco_20180329_omelia-crisma.html; also cf. Poepe Francis, Dominique Wolton, “Otwieranie…,” op. cit., p. 288. An example may be the Act of 27 April 1956 on the conditions for the admissibility of termination of pregnancy, which led to the creation of Catholic Family Counseling Centers. Francis also speaks about “four criteria”: Pope Francis, Dominique Wolton, Otwieranie…, op. cit, p. 339. The expression “discernment”—which appears 50 times in the exhortation Amoris Laetitia—is essential for understanding its message: cf. GE 166–175. CCC 1735: Imputability and responsibility for an action can be diminished or even nullified by ignorance, inadvertence, duress, fear, habit, inordinate attachments, and other psychological or social factors. CCC 2352: Circumstances that reduce moral responsibility are emotional immaturity, acquired habits, anxiety or other psychological or social factors.